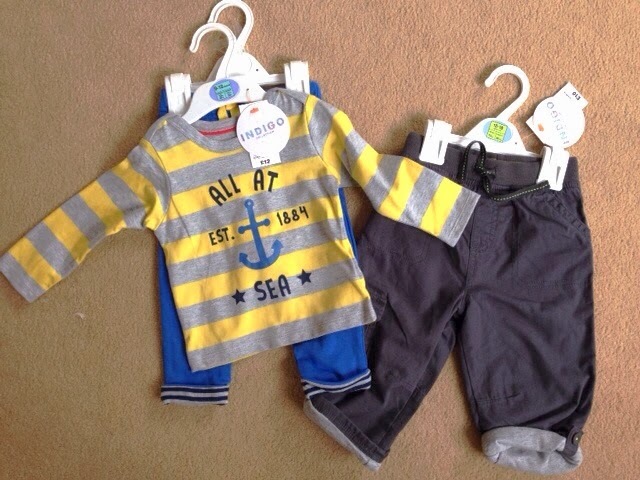 Hi guys, today I wanted to share with you some clothes my Mum bought for Noah. Every time we visit home she loves to spoil him with lovely clothes, usually from none other than our local M&S. We both love their clothing as the quality and attention to detail is always brilliant and they last so well! 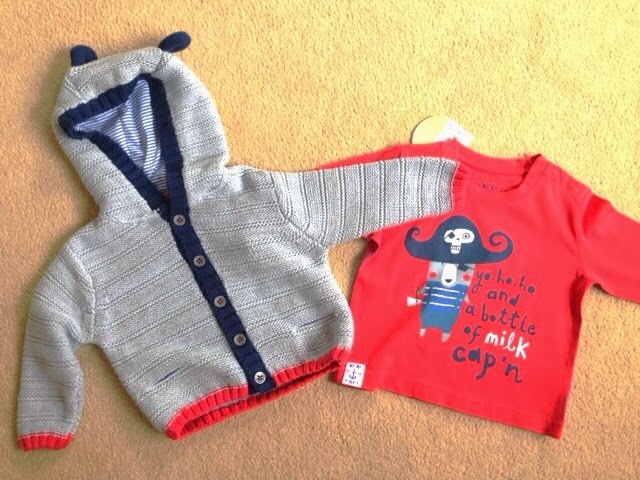 Today we went shopping and she treated him to some gorgeous pieces which I can't wait to try him in! 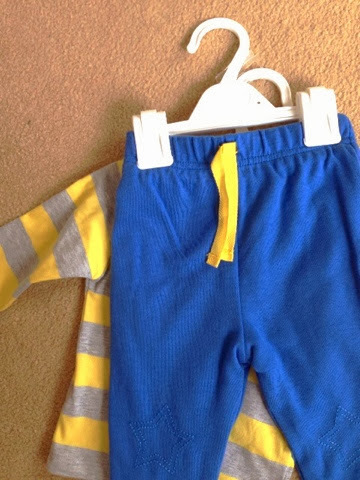 I love this little nautical outfit in yellow, grey and blue! 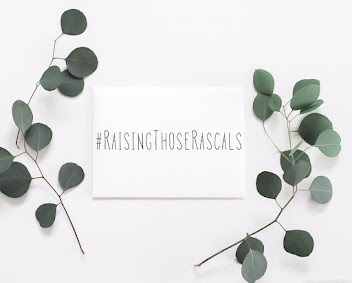 The colours are so fresh and vibrant and now we're heading into a new season it will be lovely to inject more colour into Noah's outfits! Speaking about 'attention to detail' how cute are the matching yellow waist ties on the blue trousers?! 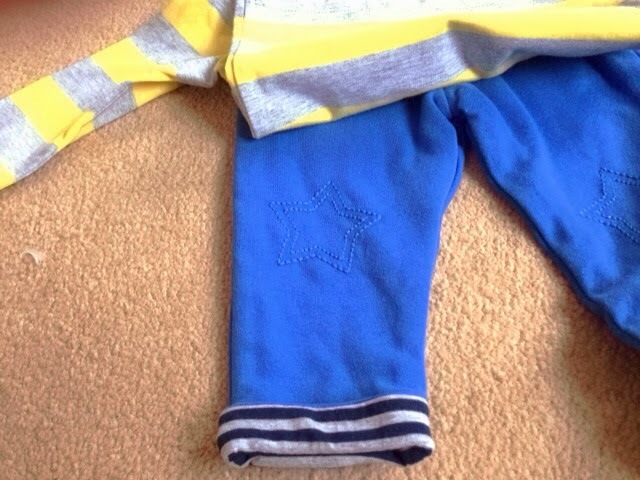 Cute stitched stars in the knees and navy and grey stripes on the inside of the leg...adorable! 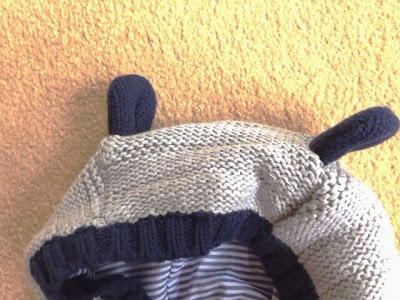 Look how cute the little 'ears' are on the hood! 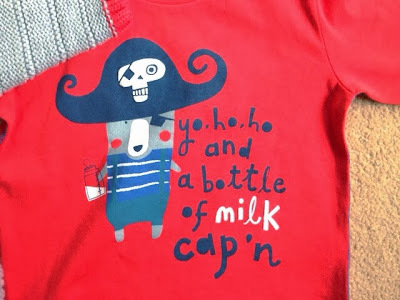 And a well chosen slogan for my little pirate! These will keep us going a little longer, thanks Mum!